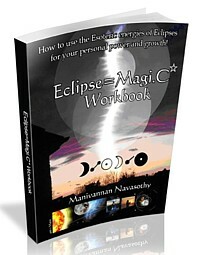 how to cast spells | QuantumPhoenix.net – Esoterica, Paganism & Ritual Magic. This is an outdoor experiential course (in 3 parts), covering all the basic principles, practices & ritual magic within Wicca – as it has been generally practised in the UK for the past 20 years (based on the form of Wicca founded/ propagated by Gerald Gardner, Doreen Valiente and many other elders of The Craft. It is suitable for all beginners, but each subject is covered in greater depths, and includes meditations, pathworking, and magical / ritual work – to embed what you are learning! You may attend one or more. meeting point: Wimbledon Windmill Tea Room, Windmill Road, SW19 5NQ (we then go into the woods for the course). Getting there: From Wimbledon or Putney, take the bus No 93. Alight at bus stop `Parkside Hospital’. Go into `Windmill Road’ and walk about 10mins to get to the Tea Rooms/cafe and meet us there. Tutor will be waiting by the outside seating area. An energy attuning pathworking will be led by tutor (using 4 element imagery, as well as growing horns & branches, and connecting to the Earth centres using imagery of growing roots. 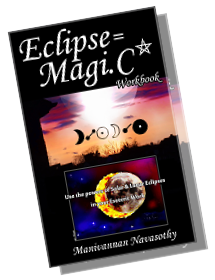 Circle casting: Using your own wand, athame or the tutor’s wand, you will learn the visualisation, energy work and practise casting a magic circle. Transpersonal qualities: There will be further explanations of the qualities invoked with elements, colour and symbolic correspondences. An exercise will also be undertaken by us – for internal elemental exploration and transpersonal balance. Witches Rune: Often used in Circles for energy raising (creative poetry written by Doreen Valiente – mother of modern Witchcraft). We will allocate some time to exploring the Witche’s Rune, the symbolism inherent in it, and have several practice chants of it. God forms in Wicca: This includes Cernunnos, Hern, Pan, Green Man, Dark Lord (Death), Sun God, Odin, Osiris …amongst others. The symbology of Horns, hooves, antlers are explained, as well as some discussion on the demonising (Pagan god seen as satan/ devil) of the god by non-pagans. We’ll deal with any hidden fears, old conditionings and prejudices, and work transpersonally to reconnect with the Horned God of Wicca and his empowering wildwood energies. Chants will be taught and used. The God & Goddess cycle in Wicca explained with diagrams and notes- ie the maiden Persephone’s abduction at Autumn, motherhood, rejuvenated Bride arriving back to land at Imbolc; Marriage of God & Goddess at Beltane; the sacrifice of the God at Lammas; coming of Dark Lord at Samhain; Birth of Sun-child at Yule and more. Invocations, evocations and Charges of God & Goddess : What happens after circle is cast and energy raised in a coven? How are the god & Goddess brought into the Circle? Who carries those energie? What is the Drawing down of the Moon? And Sun? How does working with God & Goddess empower Witches? All will be explained with brief demonstration of postures. We’ll go through some invocations and learn to use them. (which you can use in your own or group rituals). Charge of the Goddess – the poetry work created by Doreen Valiente – mother of modern witchcraft will be looked. Cup and sword pathworking – to meet the God and Goddess. Main forms of ritual magic practised in coven-wicca explained and demonstrated. Wheel of the Year – 8 main seasonal festivals (Imbolc to Yule) explained with their themes and main magic. Coven structures, initiation degree systems; some preparations and quests that seekers of initiation must undergo (no oathbound coven secrets will be divulged! But published materials will be talked about, and any misconceptions/ fears you have will be addressed as long as it does not breach wiccan secrecy oaths. All about your Witch-Name : What is it? Why? How do you go about choosing one? When is it used? and more. bring flask of hot drinks. ***Bring comfortable cushion/ mat to sit on, as well as a blanket / throw to wrap up ..during meditative work (or if it’s just cold). Please wear warm coats, socks (those ankle socks are pointless…as gnats and mosquitos will get you ! ), scarf.. Strictly no exotic substance/ drugs etc! Recording / photography policy : No Photography during course delivery & practise, or any private recording by phones/ dictaphones. Course notes by Tutor: Some printed notes will be provided. Rain cover: If the weather proves changeable / wet on the day, a tarp cover will be set up. 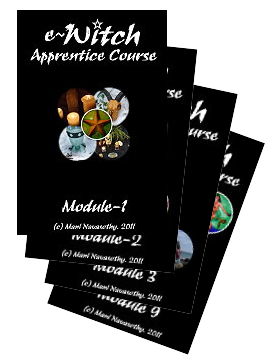 A copyright note: I’ve been running these (particularly woodland-based) `Wiccan Apprentice’ courses for many years, as 1-day courses, 3-part courses and 5-part courses (since 2006), and as e-witch Apprentice course (9 modules) since 2012. While the subject and contents of Wicca do not exclusively belong to me or anyone, I am an initiated Gardnerian Wiccan High Priest with authority to teach and train others, and this particular way of grouping Wicca topics and delivering them has been my own `innovation’ since 2006, as evidenced by records (flyers, blogs, website publicit & course notes) that I am able to produce! Anyone embarking on teaching Wicca should start from ground up and devise their own form syllabus/ grouping. A note on charging a fee: While for decades the teaching and running of courses on Wicca has been done by hundreds of established Wiccans/ Elders of the Craft (for a fee), the process of actual Initiating someone (properly prepared) into a Coven has always been done freely and without any fee, by all respectable Coven leaders including myself. The fees we charge are for the preparation of courses, organising an event and giving our time as Teachers.